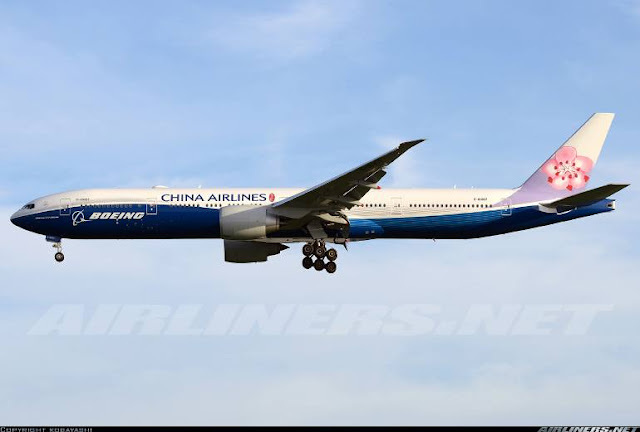 Welcome to my Trip Report on China Airlines Part 2! Among all my flights so far, this has to be one that I will never forget for a long time, why? I was scheduled to be flying on the Boeing 777-300ER but the aircraft was changed to the Boeing 737-800, a massive downsize in aircraft. To describe my feelings as disappointed is an understatement. On the day before departure, I tried to change my flight but sadly, the other flights were fully booked. My contingency plan was to book myself on the Airbus A340 flight but failed, perhaps I should make the changes earlier next time. Checking on flightradar24 that morning and doing my early check-in, it was confirmed a Boeing 737-800 registered B-18609 taking me back to Taipei Taoyuan Airport. Look at the history of my flight, I rather be flying on the Boeing 747-400. I love taking the ferry to and fro! Love the escalator but for ladies in skirt, please beware! Caught sight of this at one of the MTR stations, pretty right? I was shocked with the small portion of lamb chop - wasn't filling at all. Dessert + White wine at a bar restaurant after that. The busy street of Hong Kong, these photos were taken at Nathan Road. China Airlines is the national carrier of Taiwan, based in Taipei Taoyuan Airport set up in December 1959. 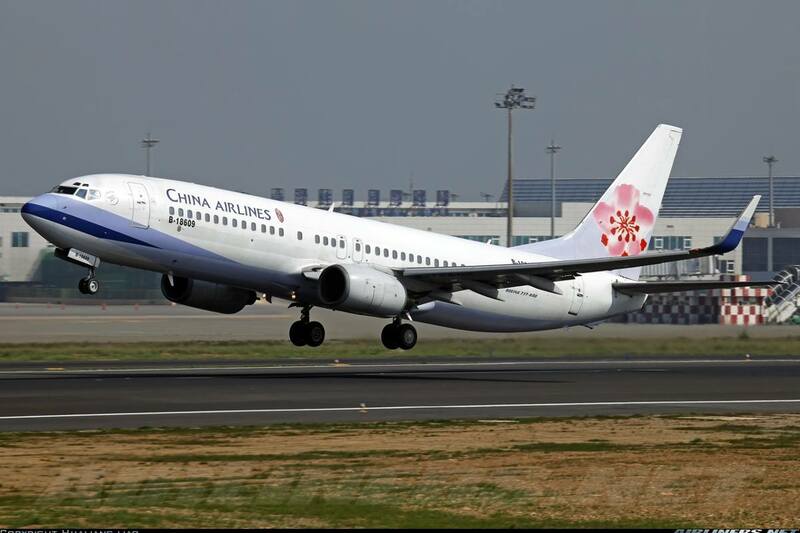 It is owned by the Republic of China government and started flights in the 1962 with the first domestic flight to Taipei to Hualien using Boeing 727s. International routes were introduced later with Boeing 707s, 737 and 747s entering the fleet. 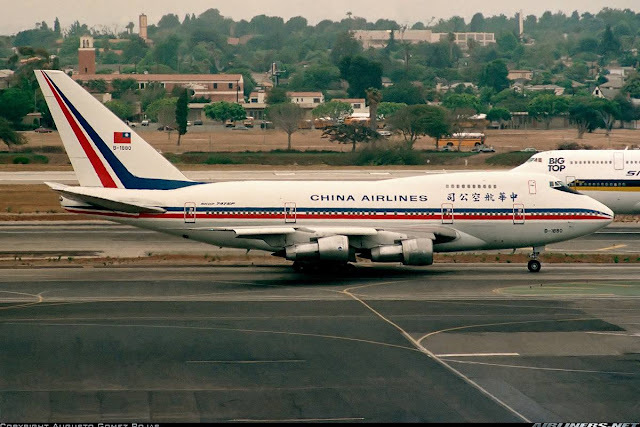 This airline was also one of the few in the world to operate the Boeing 747SP. Mandarin Airlines was set up due to political issues with the Mainland China and this airline took over some of China Airlines' international routes such as Sydney and Melbourne to avoid international controversy. In 1995, the airline introduced the current livery, replacing the national flag. In the late 1990s and early 2000s, the airline placed an order and took delivery of the Airbus A330-300, A340-300, Boeing 747-400 and Boeing 737-800 for fleet renewal, replacing the likes of Boeing 737-300/-400, Airbus A300-600R and Boeing 747-200s. Things turn for the better during the early 2000s when the cross-strait relations improved and finally flights from Taiwan can fly to China and vice versa with a stop-over in Hong Kong for both directions. Initially only chartered flights were allowed then in 2009, scheduled flights were finally introduced. 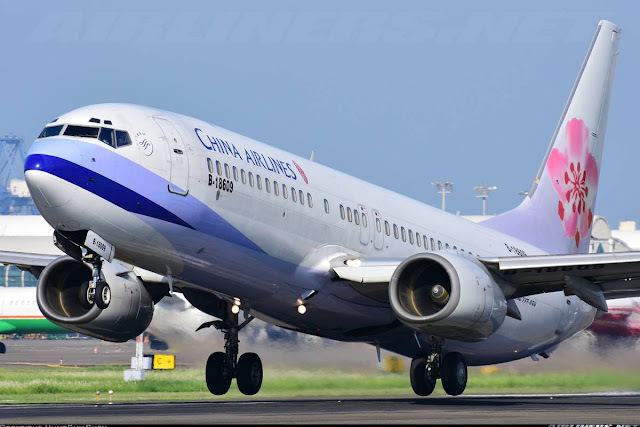 Things look promising for the airline as the airline joined the Skyteam Alliance in 2011 and a couple of years later, due to the invasion of Low Cost Carriers, the airline joined venture with Tigerair Holdings (Singapore) to form Tigerair Taiwan. China Airlines Group holds 90% while TigerAir Holding holds only 10%. In 2014, the airline launched the Boeing 777-300ER, a replacement for the Boeing 747-400 with new cabin products and new uniform was also introduced. An order for the Airbus A350-900 is to replace the remaining numbers of Boeing 747-400s and the entire fleet of Airbus A340-300 for fleet renewal. The Airbus A330-300 type is likely to be retired as well. I stayed at one of the cheapest accommodation in Hong Kong, since I was travelling alone. Hong Kong accommodation is small and expensive so to find a decent one at a good price is hard perhaps you can do Airbnb, which you might find a good deal. For this trip, I decided to stay at Maple Leaf Hotel at Changkut Mansion at Kowloon Island. The lady boss is nice, that's why I often go back there. Not trying to promote for her, but you can give this place a try. I paid around US$25 per night for a decent room (single). Anyway, my flight was at 11.05 in the morning so I left my accommodation around 7.30 and took bus A21 directly to the airport. I always leave earlier to play safe just in case if there is a traffic jam or anything. The other option was to take the airport express train at Hong Kong Station, but I was lazy to change train. So with that, the ride took around an hour and I reached the airport with a long queue ahead of me. I always find Hong Kong Airport a pleasant place to visit. Checking out my flight, it was on schedule. The queue was horribly long and I didn't realize there is a separate queue for web check-in at the other row of check-in counters. I only realized it after I completed check in. Fortunately, the queue was quick and it took around 15 minutes for me to get my boarding pass. The expression of some of the passengers' faces say it all! The check-in staff confirmed that my flight's aircraft was operated by the Boeing 737-800 and she apologised for the inconvenience which she didn't have to. Look at the number of flights departing in the morning! It was a busy morning and since I had about 2 hours to spare, I decided to do some plane spotting. 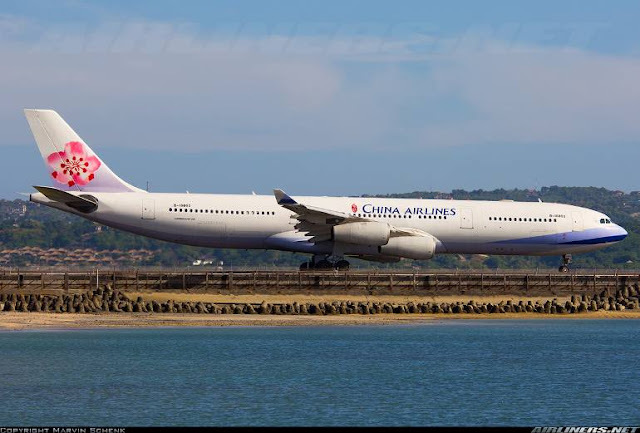 China Airlines Airbus A330-300, special livery B-18355! This aircraft was heading to Kaohsiung. Originally my flight was to depart from this gate. The gate was changed to 61 which was quite a distance away from the original gate. I was hoping for an aircraft change not a gate change! Well, life goes on. Boarding took place late due to the late arrival of the aircraft. The late take off at Taoyuan (Single runway) and the heavy traffic in Hong Kong were the cause of the delay and the airline is not to be blamed for it. So if you are flying on this route, expect some delay. The feeling of boarding aircraft usually excites me but not this time, flying on the very common Boeing 737-800 once again and not to mention a 17-years old aircraft made me feel sick to be honest. That's life of an aviation traveller! Unfortunately, the seat beside mine was occupied with 2 elderly ladies. Good thing is she didn't take up lots of space, so it was comfortable for the short flight. On this Boeing 737-800, there is no individual Personal TV system but there are drop-down screens and they were used for most parts of the flight including safety video demonstration. Fortunately, I didn't manage to take many photos of the business class due to the crowd. The window seat was mine. Waiting for everyone else to settle down. Most of the passengers were Taiwanese. Legroom space is decent. The seat fabric colour is nicer in my opinion than the ones on A330s and B747s. Walking down the aisle to exit the aircraft after arrival at Taipei Taoyuan Airport. If I have to fly on 3 hours or more on this aircraft, I would pick this row. Audio entertainment for listening to music - I didn't bother to use. Unlike my Scoot experience, I had 2 windows for myself this time round. Inflight magazines are the same as the ones on board my previous flight. This is different from my previous flight. This time it consists of a packet of biscuit, chicken bun, a bottle of water and a packet of wet towel. A few gates away is a United Airlines Boeing 777-200ER, preparing for its long flight back to America. A Cathay Pacific Airbus A330-300 taxiied in for its well deserved rest. It started raining at this point. Our taxi to the runway took around 12 minutes which is considered quite fast considering how heavy the traffic in Hong Kong Airport. Take off was slightly bumpy while we climbed to our assigned flight level. Shortly after, we entered the low cloud. About 10 minutes after take off, we were finally cleared of the dreadful weather and flew smoothly towards Taipei. A few turns and we started our descend. Lovely day for flying! I like the winglets on the Boeing 737-800 especially with the airline's logo or colours on it. We were put on holding pattern for a while before given permission to descend and eventually land in Taipei Taoyuan Airport. Passing through some clouds, and it was a bit bumpy. Passing by the Taiwanese Low Cost Carriers, V Air and Tigerair Taiwan. We were parked beside this Airbus A340-300. 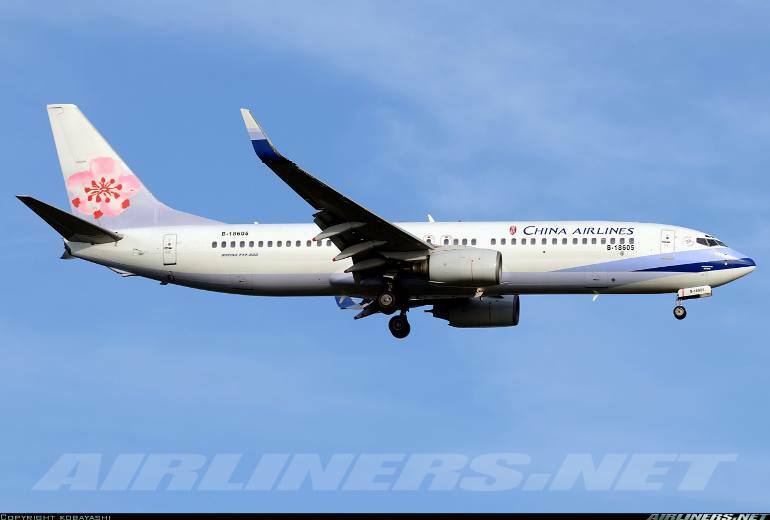 China Airlines may be the national carrier of Taiwan, but I feel the airline has some catching up to do especially with the fiercest rivals such as Cathay Pacific, EVA Air, Asiana..etc around. Looking at the photos of the airline's Boeing 777-300ER, that's the first step in the right direction. For the airfare that one pays, it has to justify and honestly speaking, the fussy passengers won't be too pleased flying on the older generation cabin products. Compared to my previous flight experience, the service on both flights are better and the Boeing 737's interior to me looks better than the A330 and B747. One advantage of this airline is it is part of the Skyteam alliance which means one would have more choices of destination to fly to, whether you are flying on China Airlines aircraft or the partner's. My flight experience on both had been pleasant but I have to try again for the airline's Boeing 777-300ER to compare with EVA Air's.